Arsenal moved to fourth in the table after a hardly convincing victory over Watford. Unai Emery's men were lucky as Ben Foster gave them a gift early on and then Troy Deeney’s red card gave them a man advantage. 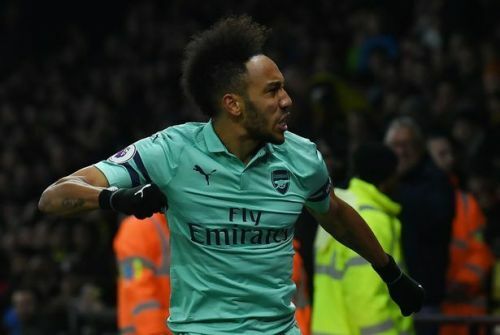 The Hornets goalkeeper received a back pass and failed to control it and Pierre-Emerick Aubameyang was there to pounce on the opportunity. Deeney was dismissed a few minutes after for throwing an elbow on the face of Lucas Torreira. Watford really gave Arsenal a tough time despite being a man down. The home team played well on the wings and Arsenal’s poor away record only gave them more confidence. Gunners had their heart in the mouth when Andre Gray rounded Leno only for Maitland-Niles to produce a desperate block. Here are the three reasons why Arsenal got the all-important three points. The striker has been in the race for the Golden Boot for some time. A recent illness left him on the bench for a couple of games and impacted his ambitions to win the award. Aubameyang and Lacazette are completely different types of strikers. Lacazette goes deep to collect the ball while Aubameyang is in and around the penalty box ready to pounce on any opportunity that falls to his feet. 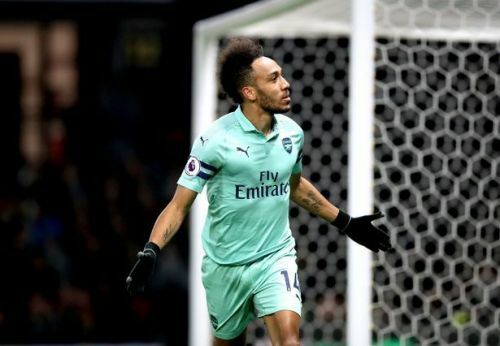 Aubameyang’s hunger and drive to score goals was at Arsenal’s rescue last night as he pre-empted the mistake from Foster. The former Dortmund striker was on his toes and reached Foster in no time. Many would say that Ben Foster gifted the goal but one has to give credit to the striker too for the way he closed down on the keeper. Aubameyang is now just one goal short of Mo Salah and Sergio Aguero’s goal number in the race for Golden Boot.